The partial Government Shutdown is an expensive farce and an example of unbridled stupidity run amok by a group of well-paid politicians unaccountable to reality. Even those taxpayers annoyed and frustrated by big government who claim they are "pleased to see government shutdown" should garner little joy from the current circus playing out in Washington. Since most government workers will likely be granted retroactive pay for their time off, politicians are stupid or silly if they think paying government workers to stay home over a few billion dollars in a 4.4 trillion dollar budget makes any sense. In a prior article, I pointed out that by simply calling for the end of the penny the President could pay for his wall. getting rid of the penny would save America billions of dollars. This article, however, is not about how much a worthless penny cost business every year but to point out how Washington has created a lose-lose situation out of an issue that does not merit being elevated to such a level. Being no fan of stupidity I find it hard to applaud any of the parties that have become willing participants or have embraced this charade. 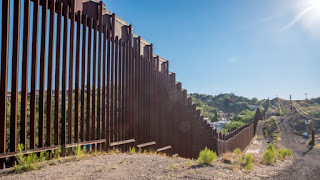 Those we have sent to Washington should get back to work solving real problems instead of just grandstanding and playing to their base, it is little wonder much of the world appears to have lost faith in America's ability to lead when we have allowed the country to be held hostage over such the mundane issue of a wall aimed at reducing illegal immigration. The fact is walls are a barrier and barriers impede easy access. While such a barrier is not the answer or solution to immigration it is a tool that can be used to help limit and direct how people illegally enter the country. It is a bit ironic that American citizens stand in long lines with passports in hand while long parts of our borders go unprotected. The fact is anyone who has traveled knows you can't just walk into any country without any questions asked. A lot more of our political attention should be focused on the broken bureaucratic apparatus that surrounds our current immigration system. Immigration has been an issue for decades and not addressing it in a proper way will not make it go away. A reasonable solution to solving our immigration problems has eluded both Republicans and Democrats time and time again and reduced those caught within the system into being political pawns. 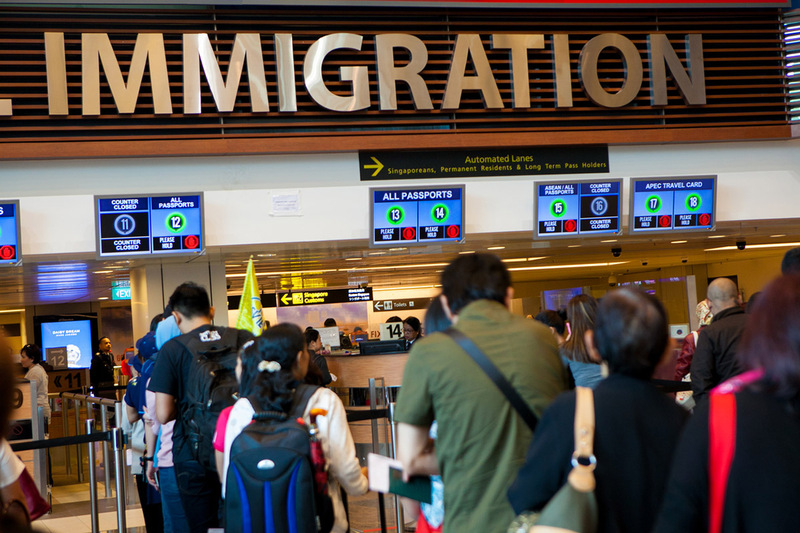 The debate over immigration, processing new arrivals and addressing millions of undocumented immigrants, receives plenty of press but much of our immigration problems lurk below the radar. Tens of billions of dollars are wasted each year on this costly inefficient system according to an article published by the American Action Forum way back in April of 2015. The article explored the cost of a broken immigration system on American business. The fact is that when the American Action Forum (AAF) analyzed the total costs of the immigration system, they found close to $30 billion in annual regulatory compliance costs. It hardly takes a rocket scientist to determine that reducing the number of people "illegally" entering the country would save billions of dollars and allow the system to operate better even in its current poorly crafted form. 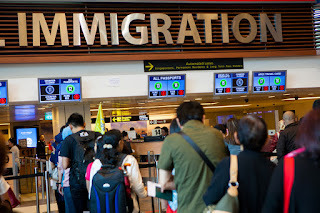 Examining paperwork requirements by way of the Office of Information and Regulatory Affairs (OIRA) the AAF found there are 20 requirements dealing specifically with the labor implications of hiring an immigrant worker. Of this, there were seven paperwork burdens that specifically applied to employers. AAF used agency estimates on the amount of time for each requirement, the number of forms, the length of applications, and the number of applicants. When an agency failed to provide a cost for the paperwork burden, AAF used the Department of Labor’s estimate of “Real GDP Per Hour Worked:” $60.59 and assumed $180 per hour as a reasonable cost for an immigration attorney. Immigration also takes a toll on American employers, these burdens increase the cost of doing business and place a barrier to firms wishing to hire qualified workers. AAF found that a hypothetical firm hiring an immigrant would have to manage up to six federal forms, totaling 118 pages, and at a cost of approximately $2,200 per firm, per hire. Even small businesses in my state, far from the border, is required to confirm a worker is legal to work, this is a bit ridiculous for small firms with only a few workers, all from their own family, and these are people they have known since birth, but that's the law. Washington should step away from the "emotional" aspects of immigration such as flowery debates about the rights of people and what they "deserve" and focus on the key issues of restoring a functioning government and getting on with real immigration reform. Even those of us who find big government distasteful should be able to see that paying workers to stay home is not a solution to the Deferred Action For Childhood Arrivals (DACA) situation. Also, loading millions of people on buses and deporting them will never happen. At the same time, those wanting more open borders should realize the current situation does not work either. By assigning Trump's modest request in the overall scheme of thing as a "non-starter" immigration supporters are shooting themselves in the foot. This is akin to an "America first supporter" denying any type of foreign aid in a situation where it will obviously have big benefits for America. In theory, those opposed to Trump should be ecstatic about Trump's offer to extend DACA and protection to some 300,000 immigrants for three years. If immigration advocates are confident their numbers will grow and Trump will not win a second term, they would then have the opportunity to knock the ball out of the park and resolve the whole immigration issue strongly in their favor. Remember in the overall scheme of things and the amount America spends each year 5.7 billion is peanuts and it is easy to see how America will get a good economic return on money spent on a barrier that works 24/7 year after year. Most taxpayers, if asked, would see this as a far better investment than paying government workers to stay home week after week. It is about time we end this shutdown and allow those we have sent to Washington to get back to work solving real problems instead of just grandstanding and adding to our ills. At this point the government shutdown is a sunk-cost fallacy.